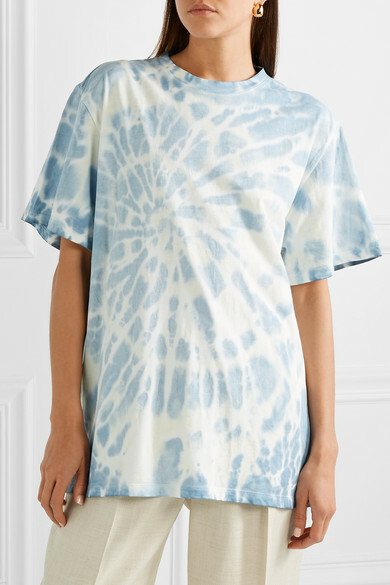 Stella McCartney's mood-lifting Spring '19 runway was filled with pastel tones and tie-dye motifs - two of the trends that top our list this season. 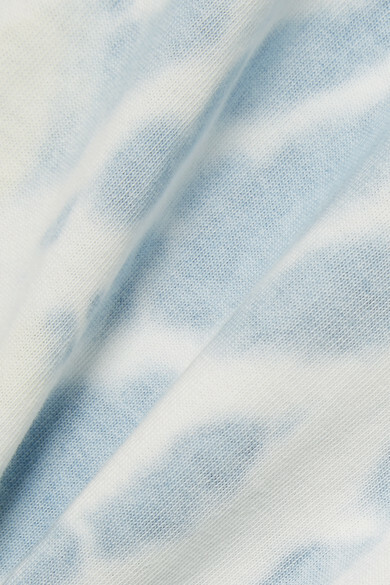 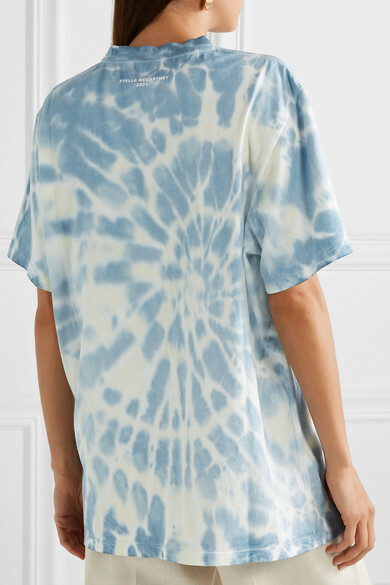 This T-shirt is made from mid-weight cotton-jersey printed in the swirling blue motif and cut into an oversized shape. 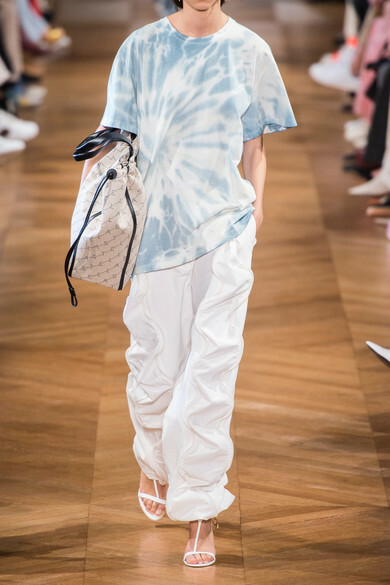 Tuck yours into tailored pants, as seen at the show. 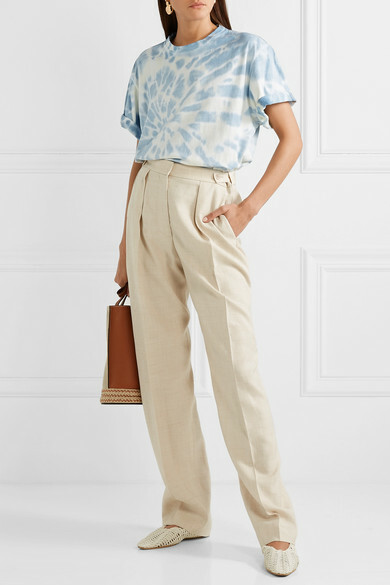 Shown here with: Stella McCartney Pants, Loewe Bucket bag, Stella McCartney Point-toe flats, Mounser Earrings.